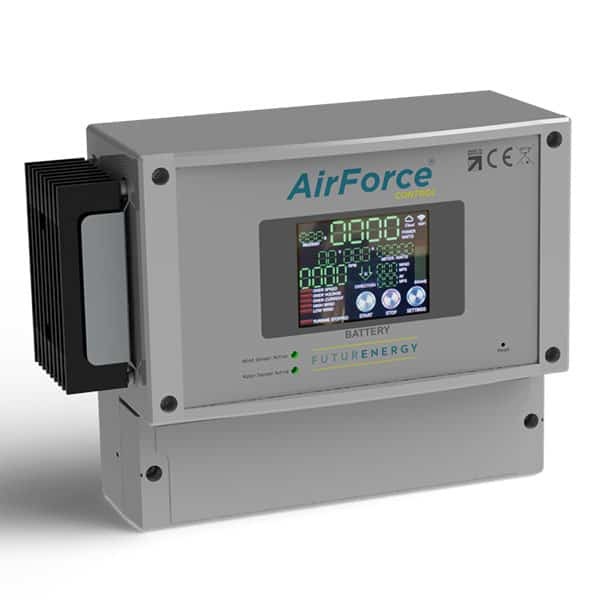 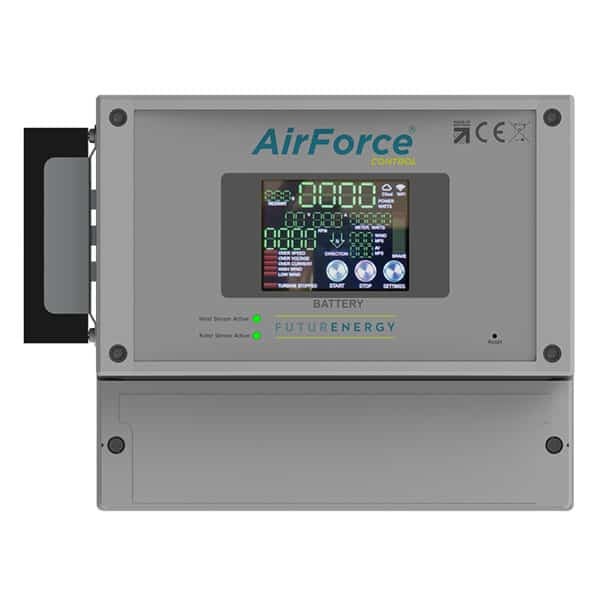 AirForceTM Control is a brand-new product designed and manufactured by FuturEnergy that provides unparalleled performance monitoring and automatic system protection for your 3-Phase AC 1kW turbine installation. 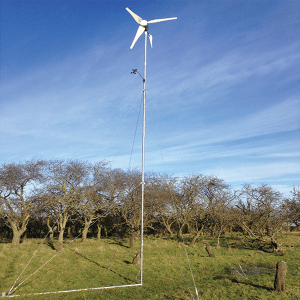 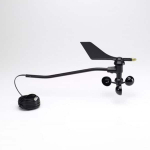 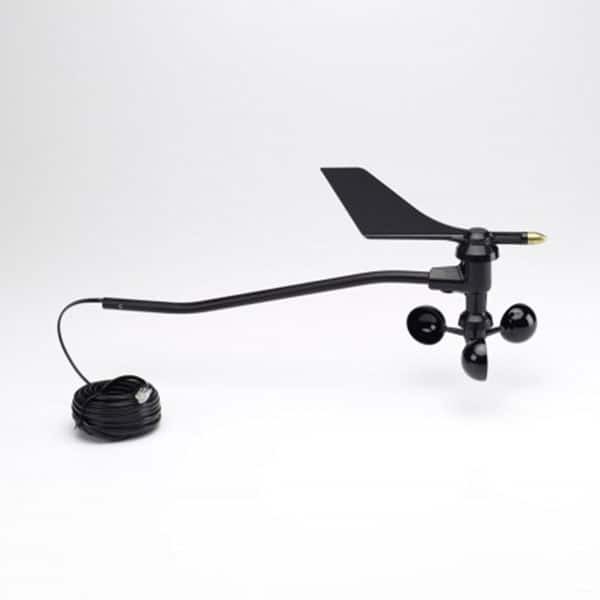 Included with the AirForceTM Control system is a Davis Anemometer, that provides the system with both wind speed and wind direction information. 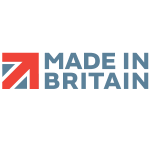 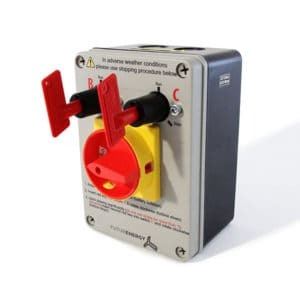 The AirForceTM Control unit is installed within a covered area close to and in series with the manual stop-switch and directly to the batteries or other loads. 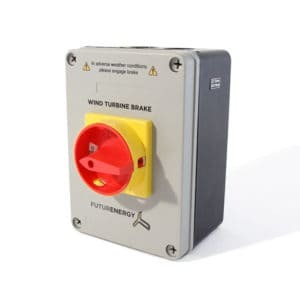 When charge parameters are met, or other controlled parameters exceeded, the turbine is automatically stopped and restarted when conditions return within operational limits or further battery charging is required. 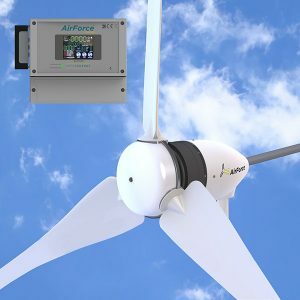 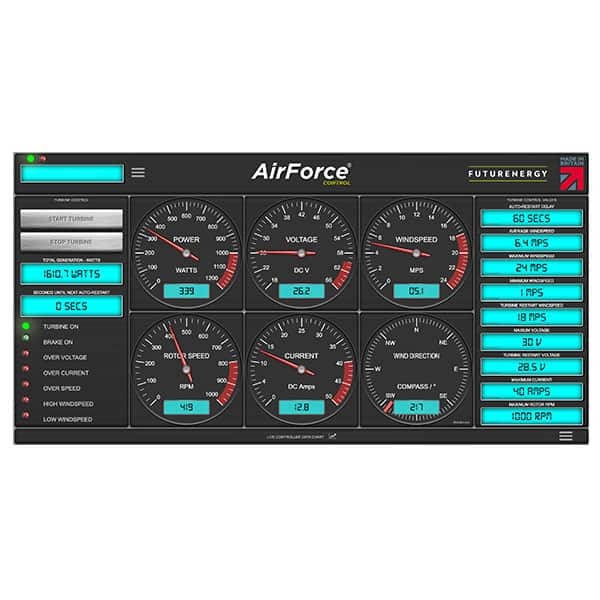 AirForceTM Control offers access to a Web-based portal providing remote control & configuration, along with trending of historical performance data for your turbine.